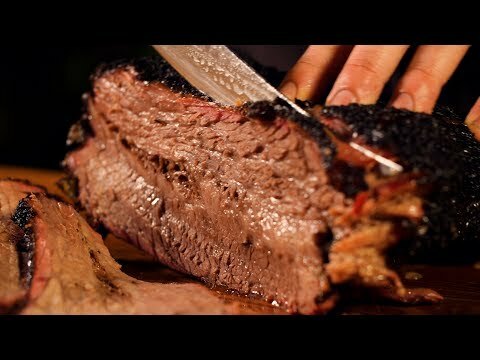 The Primo Oval XL is the best grill/smoker I've found! I've owned my grill for a yr now and probably have had 100+ cooks on it. Lots of grilling, roasting, baking (pizzas) and more recently some long low and slow smoking. I researched for a good while before buying, I cooked on the 3 biggest selling brands, BGE, Primo, and KJ. 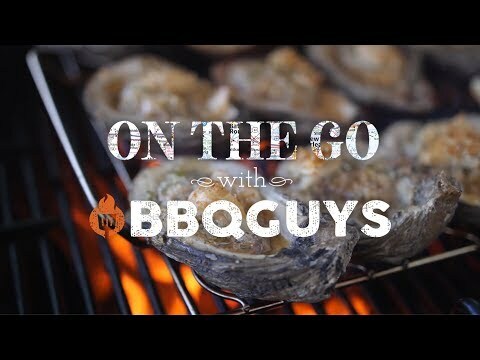 My finding is you really can't go wrong with any of the top branded ceramic grills. The Kamado Joe offers the best value because you get more accessories included than with the BGE or Primo. That said, the versatility of the Primo Oval XL is unrivaled...true dual zone cooking from the firepit up and that separates it from the other two. 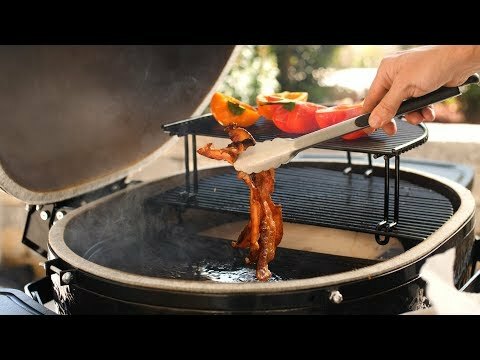 For me it's not so much the Primo Oval XL is better than the KJ or BGE...it's more about where it's made (USA) what it can do that the other round ceramic grills cannot. I'm an empty nester and bought the Oval XL...the extra space comes in handy. If you are reading this review then you probably already know all about the Primo XL and how awesome it is. You've done all the online research already and you're just trying to convince yourself. Buy it already, you won't regret it!!! Primo Ceramics by far are of the highest quality compared to BIG Green Egg and Kamado Joe. The shape has many advantages as you can truly do two zone cooking unlike with rounded kamados; in addition, the bottom vent is located close to the left side making the airflow start at that side and then making it around which kind of reminds me of the offset smoker. That design will produce better meats. Seems like Primo always evolve, and they have cracked Firebox instead of a whole one. I have also heard they might improve their hinge in the future that would be big improvement since that dome weights almost as much as the base, very heavy. And they are developing stainless steel grates which is also nice. 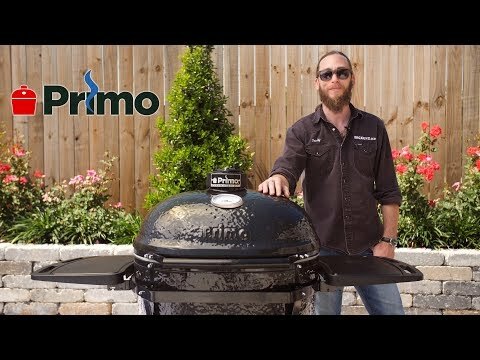 I have had quite a hassle with getting primo grill due to shipping issues, but what surprised me is the responsiveness of both, Primo and BBQ Guys. 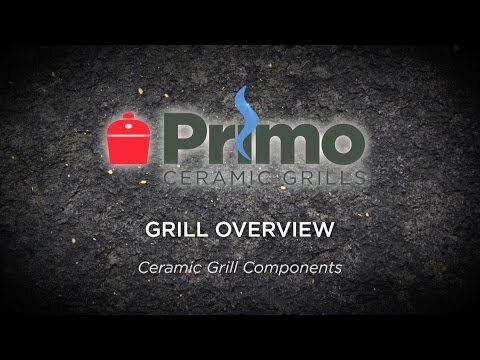 You cannot go wrong with Primo Grill, they are champions at ceramic kamados at so many levels, always improving and are made in the USA which speaks - quality due to all the quality controls and environment laws & regulations we have in this country. My first grill arrived shattered in shipment. BBQ guys service was immediate and I received a replacement as soon as physically possible. Their customer service answered, processed my claim and issued the re-shipment order within an hour of receiving my photos. Since receiving my replacement, they have contacted me to follow up. The best tasting steaks we've had so far have come off of this grill in the past month. My husband loves it! This grill was purchased as a gift for my boyfriend. He proposed the following day if it gives you any idea of how excited he was, haha! From the time I placed my order, until delivery, I've been pleased with the customer service! Shipping was extremely prompt and the freight company was easy to work with! Even the driver was super nice :-) The grill arrived as it should have, without any damage (others seem to not have had the same fate?) The grill itself is worth the investment! I haven't attempted baking with it, and doubt I will try. Although it's nice to have the capability in case my oven breaks and I get the urge to bake a cake. After a bad experience with a knockoff ceramic grill (Bayou Classic - poor quality, poor customer support), I took the plunge and spent the $ to get a Primo. Wow!!! Wish I had done this with my original purchase! Fire mgmt with the Primo is super easy, almost like regulating your oven temperature. I smoked a bunch of ribs and a shoulder at 250F for 8 hours, next day had the grill at 700F for searing steaks with no trouble at all. Flexibility of Primo is great, whether indirect vs direct cooking, grilling vs. smoking. Heat deflector plates, firebox baffle and the cast-iron grill racks are must-have accessories. 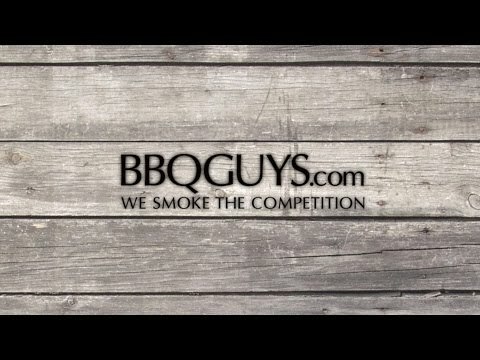 As a side note, Shopperschoice.com (BBQGuys.com) did a really great job with customer support. My 1st Primo arrived heavily damaged by a forklift during transport. They replaced it no questions asked and shipped the new Primo the next day. They are a great place to buy an expensive grill like the Primo. I have had my grill now for better than 18 months. Best money I have every spent. I love it we cook on it about 3 to 4 times a week. You need to get you one. My Bother-in -law has a green egg and he is jealous of my Primo Xl. also BBQ guys is the best place to buy. Whats Included with the Primo XL? Hi, TJ. The Primo Oval XL features a 2-piece reversible cooking grate, so you can raise your food for a slower cook, or lower it for more direct heat. Other Primo grilling accessories must be purchased separately. Does this product come with Ceramic Feet? Great question, Henk! Ceramic feet are included with the grill. 3/4" 3/4" 1 1/2" 1 1/2"